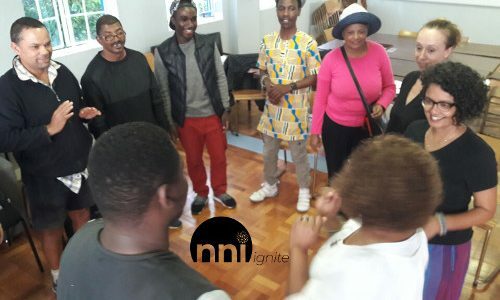 Eleven participants from diverse backgrounds and life experiences show up and make their voices heard in one of our regular monthly transformational dialogues in the CBD of Cape Town. Once again, amidst the rough and tumble of daily activity, each participant is invited to pause, to dialogue, to allow the system to see itself, to shif(t), and to open to new awareness, insights, wisdom and energy that prepares the way for accountable citizenship and actions. After the “agreements”, the dream emerges – a world characterised by ‘calm’, ‘compassion’, ‘educated parents who are able to diagnose timeously’, ‘caring family’, ‘hope’, ‘enlightenment’, ‘connection’, ‘young people with a sense of purpose’, ‘psychologists and psychiatrists are out of business’, ‘playtime’, ‘centres to build confidence and creativity’, ‘acceptance with equality’, ‘lots more sport (physical productiveness and fitness irrespective’, ‘art and music’, ‘freedom of movement’. Yet there is a lot getting in the way of the dream, preparing the way for the dialogue. There are “limitations” and “financial interests”, and our starter voices: ‘environment’, ‘doubt’ (especially in young people), ‘media and social media’, ‘unnurturing education system’, and ‘ignorance’. Then the voice of ‘question’ emerges after the starter voices have already expressed themselves, pushing back immediately and wanting to know whether in fact there has been an increase in mental health problems among young people, or whether a host of other factors are also at play. The system seems attentive to the questions and engage openly. A lot of the dialogue sits in content with ideas and insights freely shared as the dialogue opens up and the system reveals itself. At times the system drops into ‘emotion’, with expressions of ‘discouragement’, ‘sense of failure’, ‘hopelessness’, ‘confusion’, ‘doubt’, ‘fears realised’, and later also the voices of ‘trauma’, ‘stress’, ‘pressure’, ‘angst’, ‘concern’, ‘parent’, and ‘hope’ are identified and expressed. There are the more significant voices: At the start when the voice of “question” pushes back and demands more clarity on the topic of “mental health” and the real impact it is having on young people? The system is compelled to engage with this voice and offer greater understanding for itself as the wrestling with the topic continues. Other voices also emerge, though not directly engaged with: ‘limitations’, “gaming”, “death”. Then the significant voice of “doubt” (more marginalised and embodied by a young person) speaks up to challenge the system. At this point, a pause in the system is invited as it is allowed to look at itself and identify a “missing voice” that may need to be heard. The voice of “structural violence” speaks up, feeling very effective in its control of the system. At this point, more energy is present in the system. The voice of “we have no idea” is birthed in the voice of “unnurturing education system” as this voice accepts that it is locked into, controlled by and replicating “structural violence”. Several other significant voices begin to speak up. The voice of “doubt” expresses itself directly –now addressing the voice of the “older people” that had not yet been positioned in the system though is present from the start. The voice of “concern” speaks up and the voice of “doubt” feel more encouraged, and moved to occupy the voice of “concern”, declaring that it here it is finding more “hope”. The system accepts that the voice of the “young person” now needs to be positioned, having been talked about, though not yet directly expressed. The energy of the system is shifting with the voices of “parent”, “mother” and “old person” now identified, and occupied in one corner of the system, and engaging more directly with the voice of “young person”. More emotions are finding expression: “desperate”, “powerless”, “isn’t everyone not seeing what I’m experiencing?” and “angst” increasing in the voice of “concern”. The voice of “single parent” and “single mother” also emerges from within the voice of “concern”, speaking of feeling a sense of failure as “structural violence” and “the system” exerts more and more power and control. Feelings of “sad”, ‘hopeless”, “disappointed”, “disempowered” find expression as the voice of “the system” still exerts its power and control. Then the voice of “hope” speaks up more strongly, in the midst of the oppressive system bearing down all around. There is a determined shif(t) as this dialogue comes to a close. A rich harvesting follows as participants reflect on what has happened in the system, and what insights and awareness has come about, and what has shifted for the system and for each individual. ‘Hope deferred makes the heart sick’, ‘heart sickness may be the mental issues’, ‘despair breeds hope’, ‘the system created false expectations’, ‘now we have seen reality’, ‘my people are destroyed for lack of knowledge’ (biblical text), ‘knowledge is power’, ‘listen to young people’, we need “a system that effectively educates young people,’ ‘a more holistic system’, ‘people created the system, so people must change the system’. Participants engage in pairs around their individual ‘Actions and Accountabilities’ as a buzz fills the sacred space. Each one is open to take responsibility, and dare to bring about the changes needed in the world where health and well-being can become more tangible; where the dream can become more real and tangible. The sharing is rich and enthusiastic, and the commitments to take action are specific, time-bound and accountable. On Friday 8th March NNI Dialogue Institute facilitated a dialogue with Child Protection Collaborative. NNIDI Facilitator-coaches Roger and Karen lead this dialogue to deeper and more transformative levels. 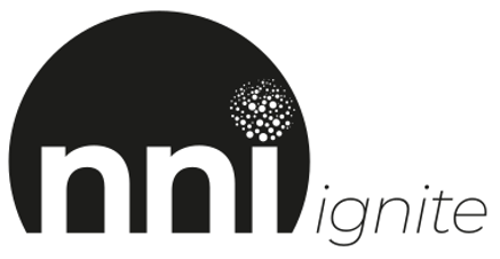 *A NNI Ignite Dialogue was the perfect way for the Child Protection Collaborative (CPC) to start 2019. Committed member organisations of the CPC – all of whom work with children in one way or the other – attended the dialogue and did the work for the larger system. It was an immensely powerful dialogue which Karen and Roger skilfully facilitated and the system easily and with high regard entered into moments of essence. It seemed to be an almost cathartic process for NGO professionals in this sector who are continuously faced with the carnage of violence and abuse against children. The voice of the CHILD and the voice of HORROR interacted in its chilling reality…the voices of CHILD PROTECTION, the SYSTEM and the PARENT frustrated the CHILD more than HORROR and VIOLENCE because of the CHILD’s lack of trust in these voices. RAGE emerged, and when RAGE felt pain; it almost made it’s way over to HORROR as that seemed more attractive for a moment – HORROR seemed to be more consistent and more powerful. But HORROR also emerged as a double-sided with an element of feeling numb. The CHILD was silenced by the other voices and eventually left the room. This was a true moment of essence. Limited number of Scholarships available. “18 people came to engage in an NNI Dialogue on the topic of “Our #@$€£ Economy”. We got to feel a huge amount of anger and blame, we saw how hard it is to really see and listen to each other, and the pain that comes with that. We got to see impatience and a strong wish to help, but how? We heard that collaborating with other rescuers is easier and more satisfying than listening to the victim that doesn’t present its view points in a way that’s easy to take. We saw the ambiguity that lives in succeeding despite the system. With “Thuma Mina” and “mind shift needs to happen” holding the space, the system started seeing and acknowledging its pain and anger, frustration and resilience, hope and love. Towards the end there seemed to be more space for all voices to be seen. An uplifted energy and palpable sense of “We are all part of the solution” was present. These dialogues will be held monthly. Please see our events calender for more information.